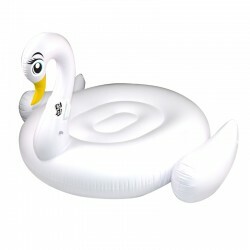 WHAM-O® 61563 Swan Float Tube XL. 2-person pool float tube. Durable vinyl construction. Great for sunbathing. XL 73” x 60” x 42”.